I tried to respond to another member that was asking about the icarsoft but it would not allow me to respond, so I will outline my experience here. After many weeks of frustration with the durametric and paying shipping for their faulty product I returned it. Now several months later I figured why not try this icarsoft, the newest version that claims it resets oils reminders and service reminders too, both which I was never able to get the durametric to do even after multiple updates (this is mainly why I bought it). Low and behold I hooked it up today after getting it in the mail and it reset them perfectly first try. 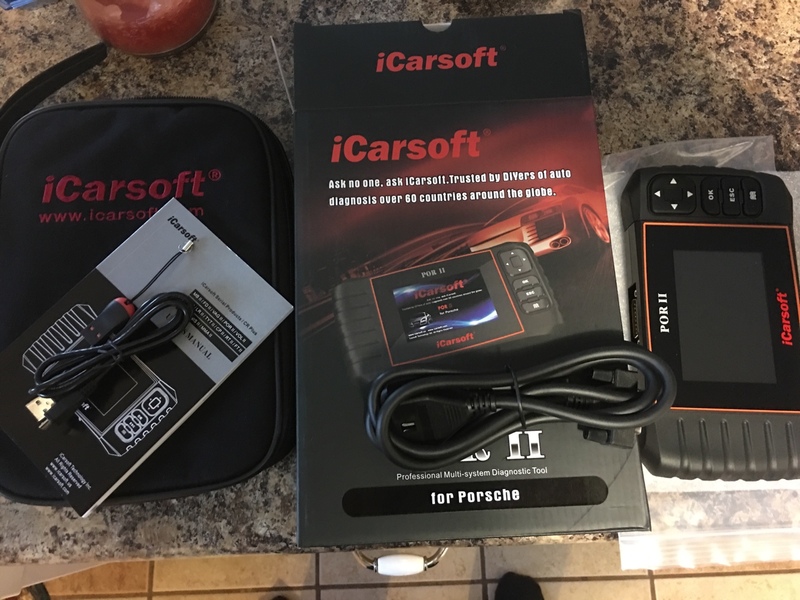 It also has a diagnostic mode unique to Porsche in addition to standard OBD II and it ran a Porsche unique DTC scan of all the different systems, my Cayenne responded accordingly on the dash each time the system was being tested (such as parking brake and many others) and I never got an error trying to connect. Quite honestly this is what I expected from durametric all along and it never delivered which did not give me hope for similar systems. 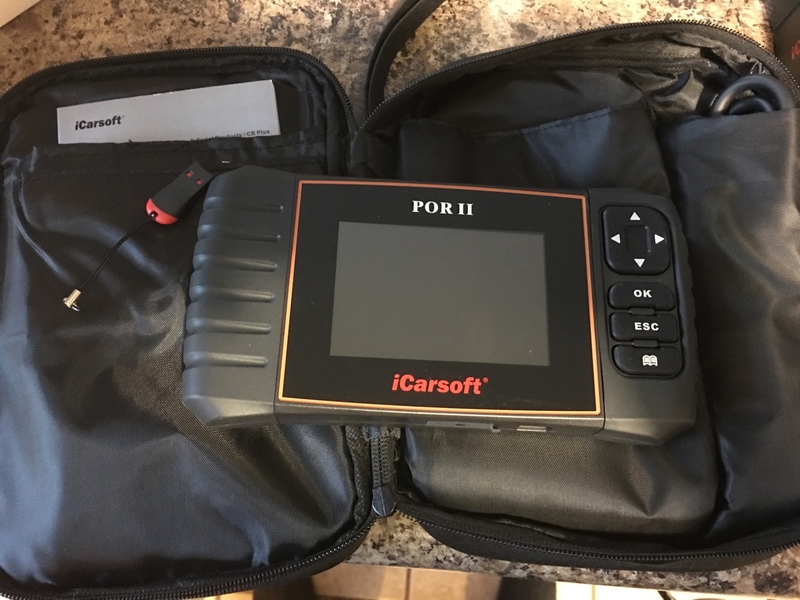 I think the older version of the icarsoft did not do the oil and service reset which is why I previously did not give it a second look, but it does now. Here is a picture of the newer, larger unit. Oh yeah, and the user interface is nice, you do not need a computer to make it work and it seems it can be used on as many makes and models that you want (no limit like durametric). This was not meant to bash durametric as I know many use and love it, but for those that have issue with it like me, or want in my opinion what is an easier to use cheaper alternative then give it a try. You can see from my earlier posts I have no ties to this brand and was truly just trying to find something that worked after multiple fails. I bought from Amazon only because I had a gift card that covered most of the cost, but they seem to be a little cheaper on eBay, about $176. The pictures are not showing at least on my end so I will try again. Also notice the nice case, connection cable to update and an adapter to if needed. Now the pictures are showing, here is one more of the soft case. Glad you have had complete success with your product. Can I ask you, What were the problems you experienced with the Durametric? Would it connect at all? Or would it only read parts of codes? interested to find out more. We have seen module connection issues on cars with either bad modules themselves, or with communication buss issues. In those cases, the lack of communications was not on Durametric's end, the vehicle's had an organic issue which when corrected allowed full communications. Durametric is also a "constant work in progress" that is regularly being updated to deal with things that crop up, such as Porsche switching some cars from Bosch to Siemen's DME's, which use yet another unique diagnostics logic system. I have another post that goes into a little detail but in summary not matter which service reminder I tried to reset the durametric would show that it was reset but never was. This was the case with oil and both service reminders. I am not sure what the problem was but I have no problem using the iCarsoft which makes me very happy. I doubt it was my module or I would expect trouble from iCarsoft too but it worked first time in all resets. It might be differences in DMEs as mentioned and maybe durametric had not updated yet. If durametric works for someone then it is a great tool, this is just another option that happened to be the only option for me. We use ours to reset service reminders on customer's cars just about every day without problems. 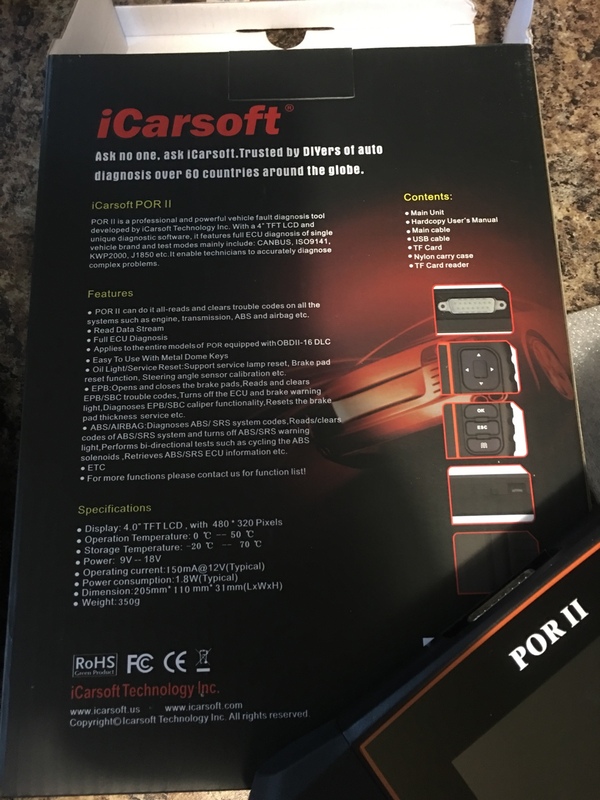 Thanks for the info on the iCarsoft. I've been trying to get my Durametric cable to work with my 1999 Boxster without success. There is a known issue with it connecting to modules on the K-line 2 bus, which is used by the Airbag, ABS, HVAC, and a few other modules. All I want to do is clear my airbag light, but it won't connect. Durametric is aware of the issue and is working on it, but it's been quite some time and issue still persists. I problem and I hope it gets resolved. 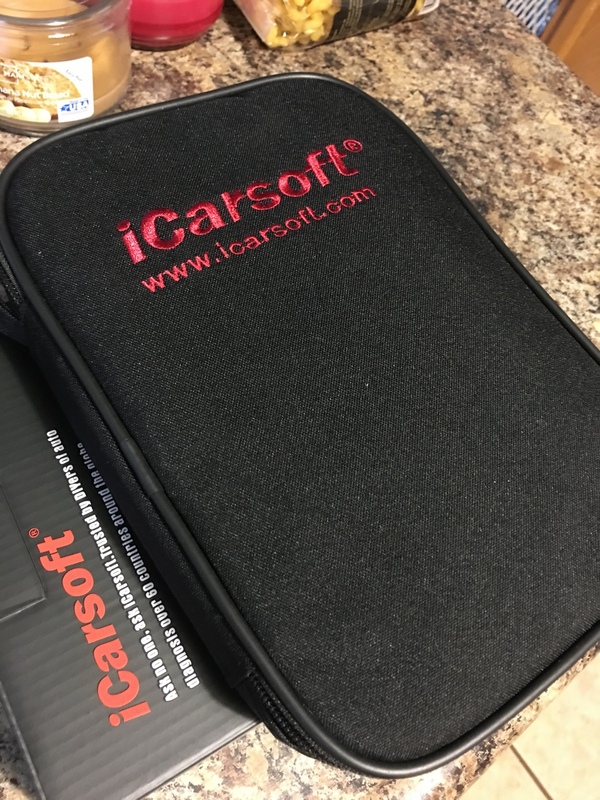 I was tired of waiting myself and am so glad I went with icarsoft. I am still using it and have had zero problems.